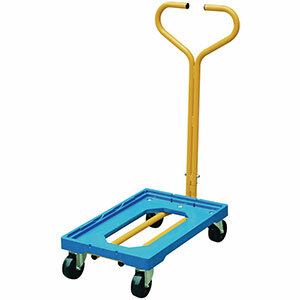 This lightweight plastic dolly with handle is easy to manoeuvre. Finished in a highly-visible blue colour, this dolly is fitted with four 100mm diameter swivel castors. Ideal for containers of up to 600 x 400mm in size. Weighing in at just 4kg, this dolly can handle up to 250kg capacity.